Sporty, flexible and reduced to the essentials–that pretty much sums up the Moab Jam 24 Rucksack. 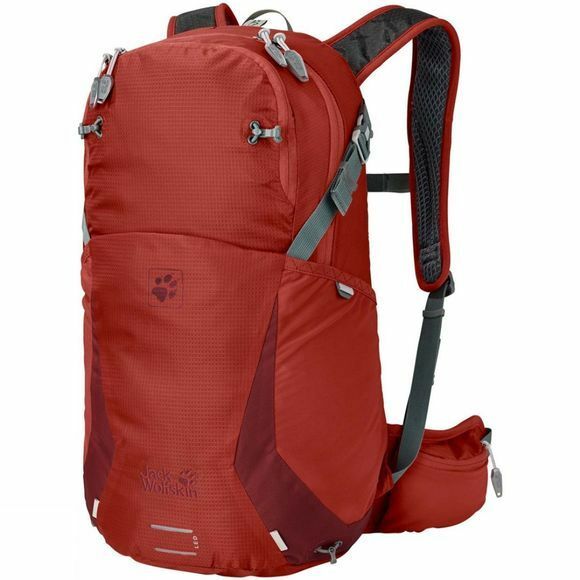 This is a great day pack for hiking up to your favourite mountain hut or shredding the trails on your bike. There's plenty of room for your kit and snacks in the main compartment, and your helmet, gloves and rain jacket can be stashed in the elasticated front compartment. The packs in the Moab Jam series have a number of features that make them the ideal day packs for a wide range of activities. The helmet compartment and LED light attachment are super practical for biking trips. And when you go hiking, you've got lashing straps for your trekking poles and a useful rain cover. The Moab Jam packs are equipped with our flexible ACS Tight back system to help keep you mobile. Because the pack sits very close to your body, you retain full control of the load–even when the pace hots up. The central air channel at the back and the air permeable padding cool your back as you move.